- Examine today’s complex applications — mobile, web, social meet middleware, packaged apps, databases, and mainframes. 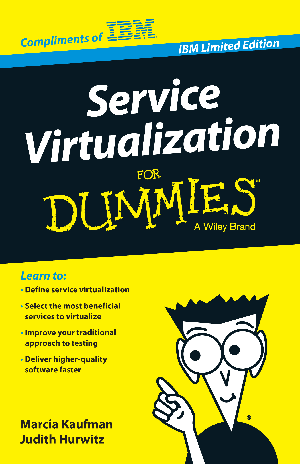 - Discover how to begin with service virtualization — build your business case. - Realize the benefits of service virtualization —enable earlier testing to eliminate surprises and reduce risk.